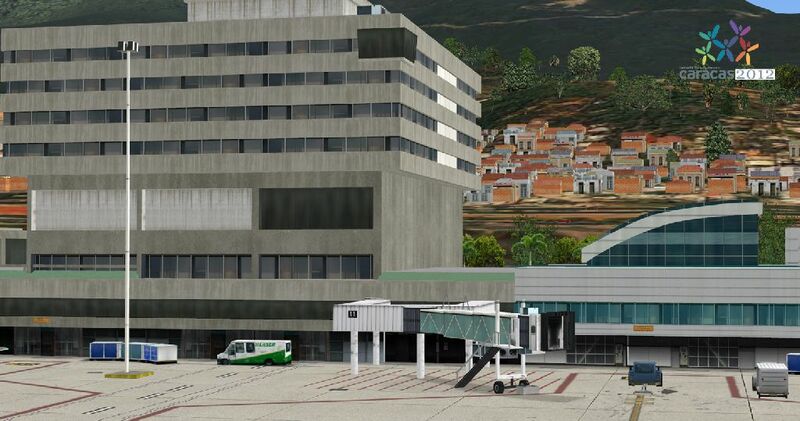 Simon Bolivar International Airport is located in Maiquetia Venezuela, it is the most important airport in Venezuela which is located 30 kilometers from the Venezuelan capital of Caracas. 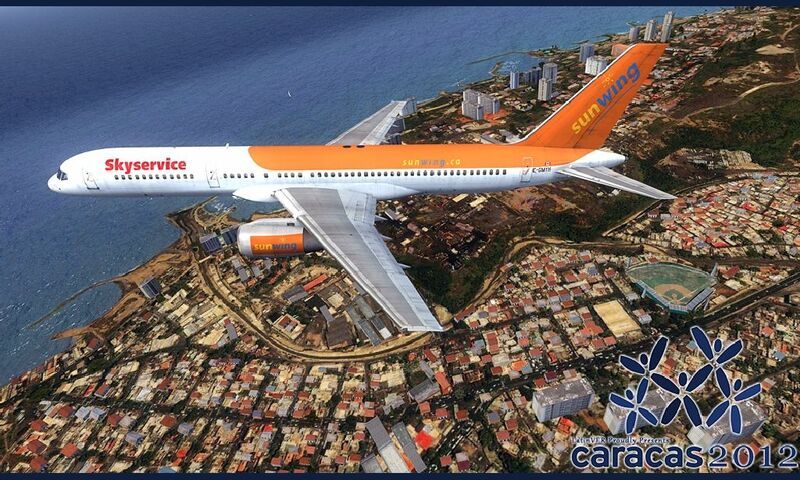 Its geographically located in both the Caribbean region and South America. 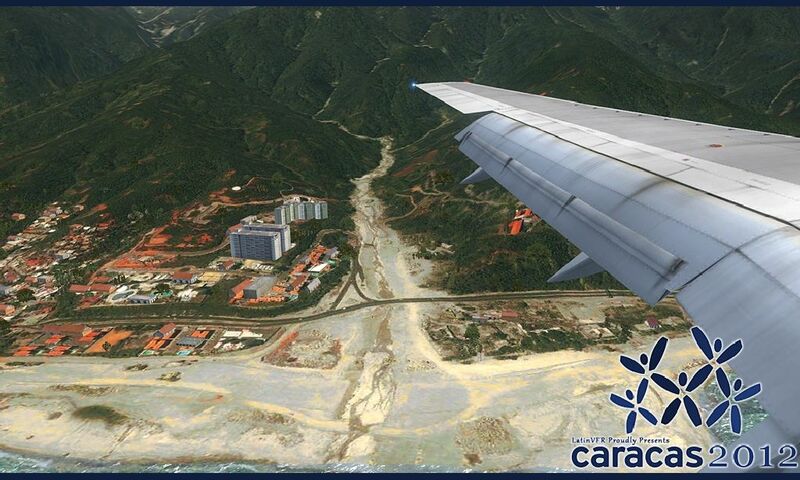 This airport handled more than 11 million passengers in 2011, it is one of the most important airports in the region. 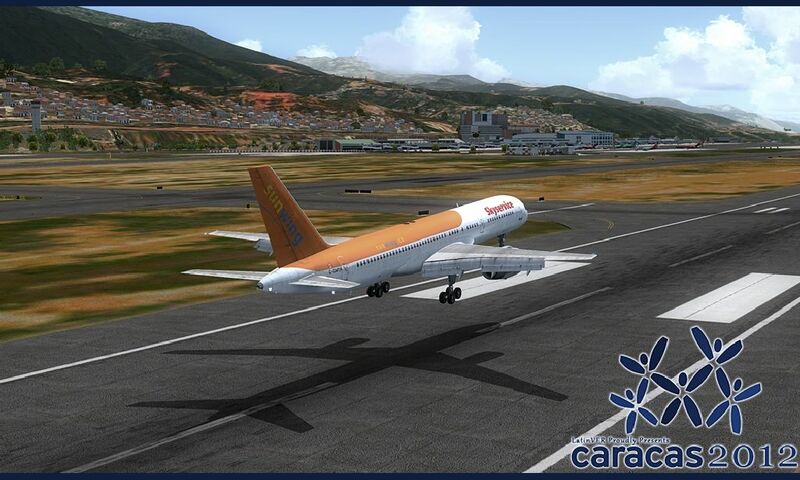 It hosts as hub for Conviasa, Aeropostal, Aserca and SBA airlines. 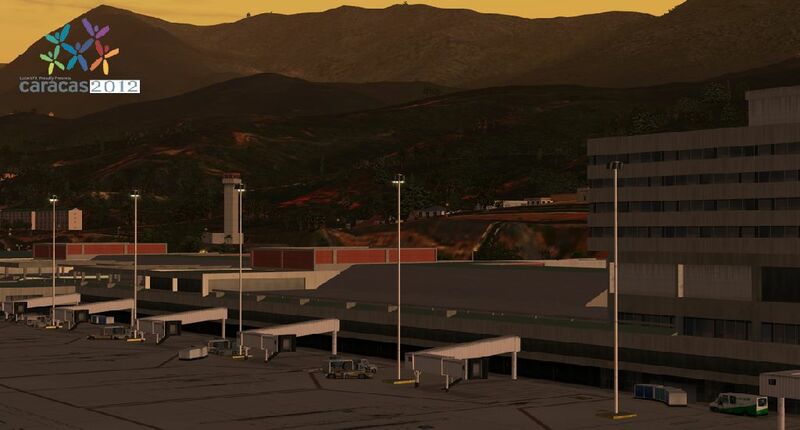 The airport has hundreds of flights to South America, North America, Central America and Europe with many foreign and domestic airlines flying to this airport. 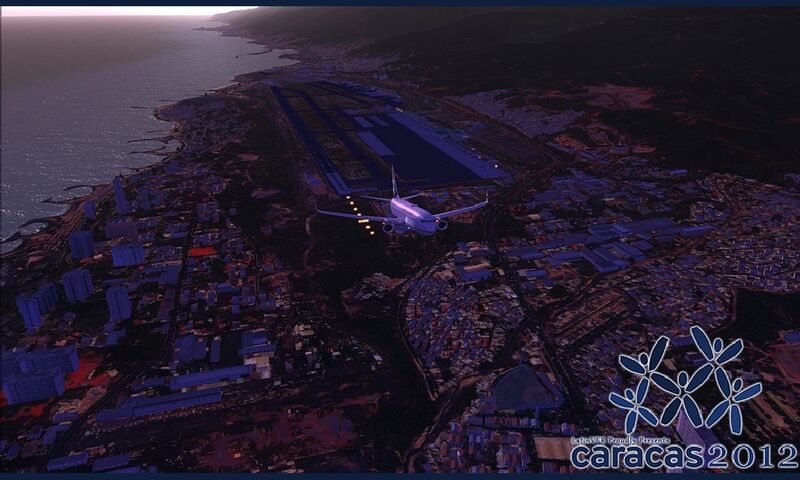 For this scenery we have developed with special care the ambience and area in order to recreate as much as possible the different terrain oscillations and how uniquely this airport is situated, by creating hundreds of customized objects and placing them based on real world data. 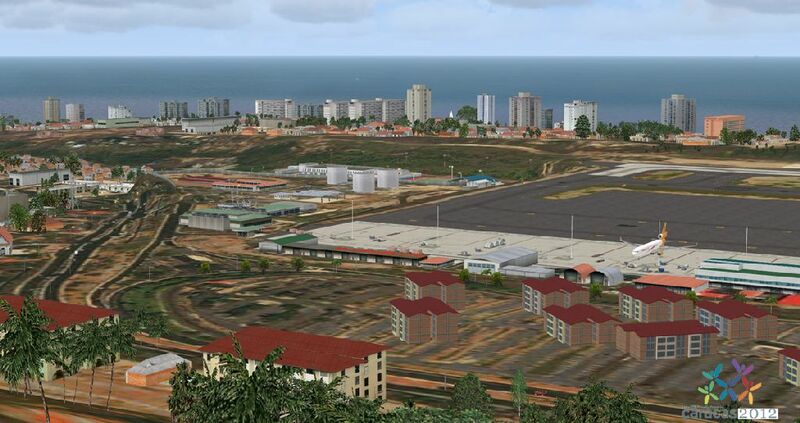 The terminals highly realistic and aprons and ground. 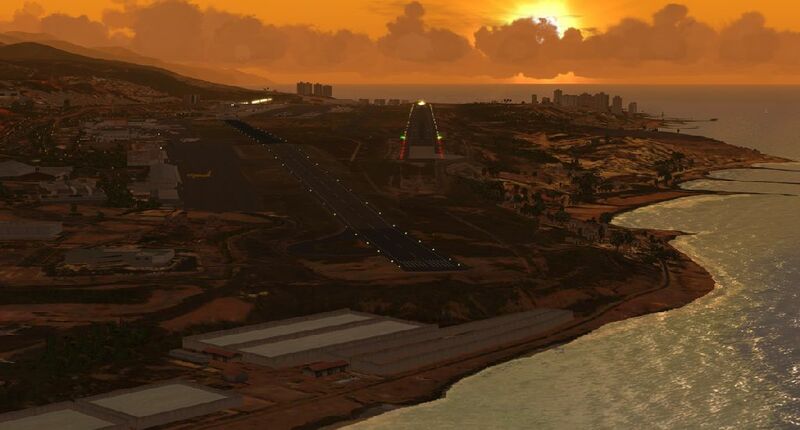 Making one of the two runways mostly sloped and at the same time fully compatible with AI traffic. 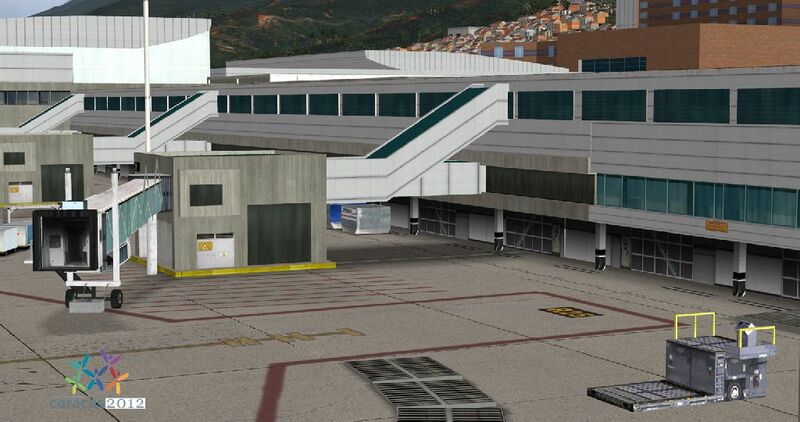 SVMI (CCS) airport completely modeled with significant attention to detail. 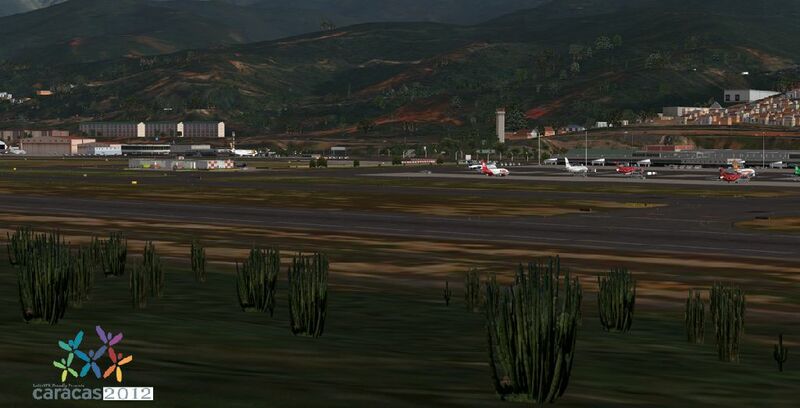 Sloped runways, aprons and taxiways. 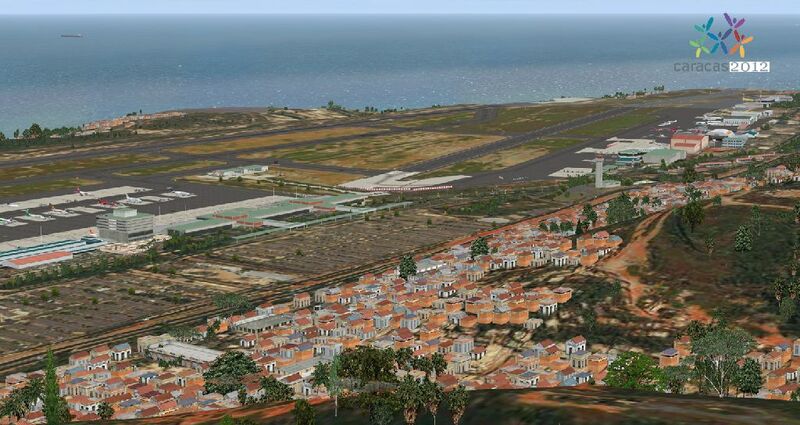 More than 420 sq Kilometers of photo scenery with thousands of hand placed autogen. Inclusion of manual in PDF format and charts. 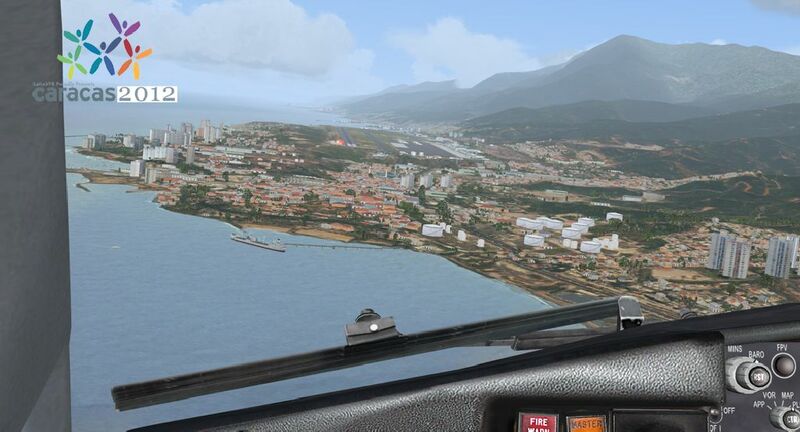 \"This product has many good points and gives the sim pilot some spectacular scenery to enjoy but it also has shortcomings that come to light when you start to take a closer look. 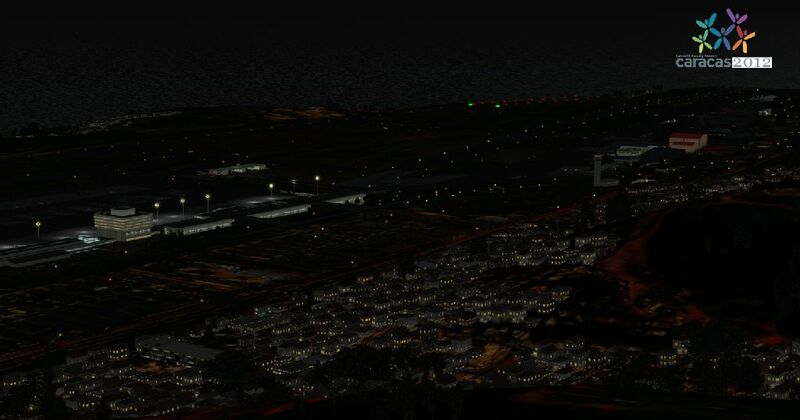 I have some reservations about the product but if you are interested in flying this part of the world I think it is worth serious consideration.\"
Definitely a good scenery, as far as MESH, and for various reliefs that are good glance on approach that is taking off. There remains some concern sull'autogen which I find a bit 'trivial, with little house almost cartoonish. Good design instead of skyscrapers. 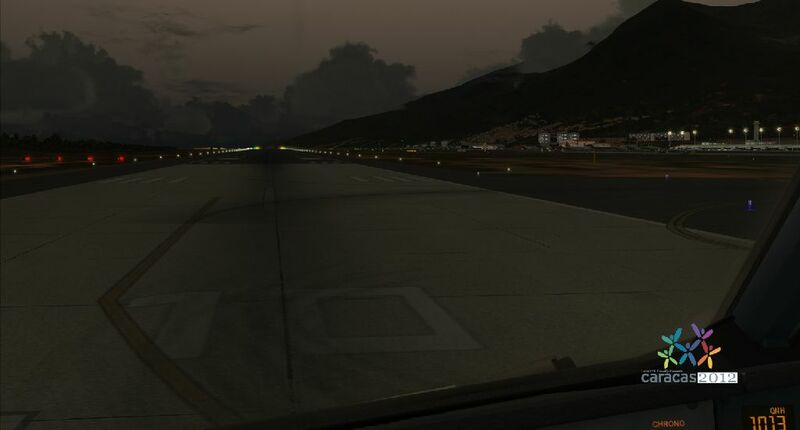 Ok texture night, and good texture of the asphalt of the airport. I would devote much more attention to the texture of the grass of the airport that day are too "hot" and bright. The level of San Diego is another thing. 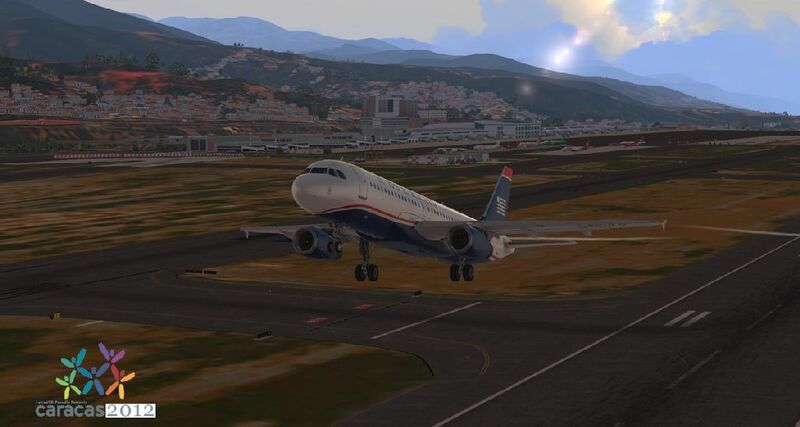 very nice scenery, landed in pmdg md11 and fps were very friendly. 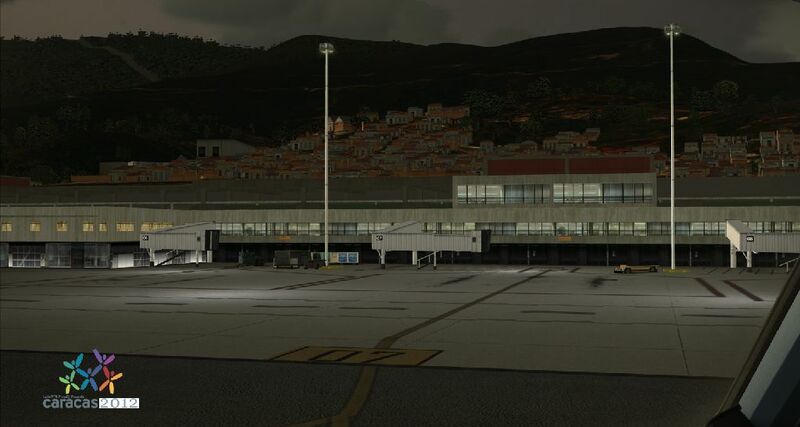 Very detailed airport, less detailed and not so crowded of autogen the surrounding area. Surely a top notch, but not as nice as the best productor on the market: FlyTampa. 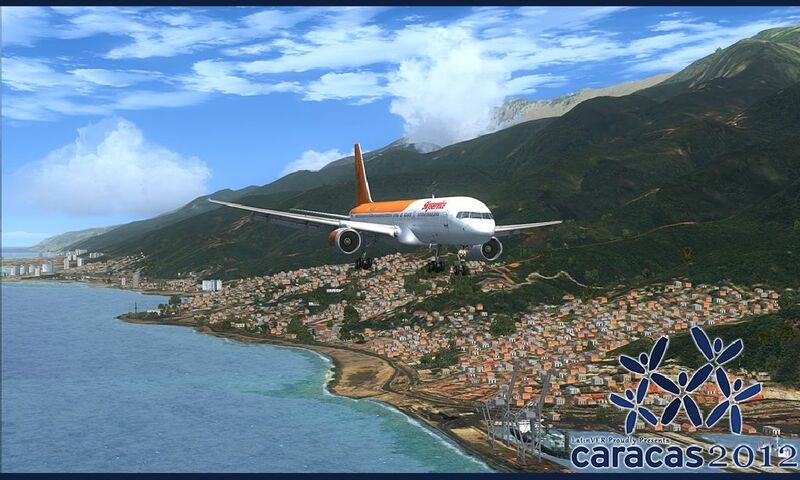 A sure buy as well, i'm happy about Caracas. This is a beautifully designed add-on, purchased the next day was released (usually I wait for 5-10 days). 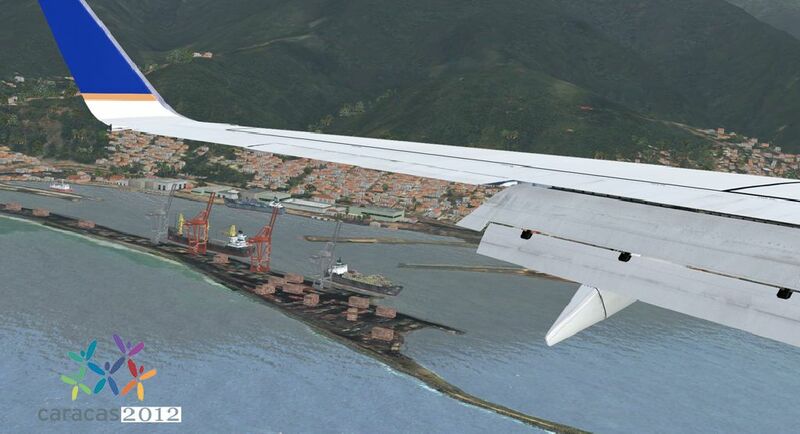 There is no port-over from F9 to FSX.  Each version is optimized with each platform respectively. I enjoy it very much. Highly recommended. 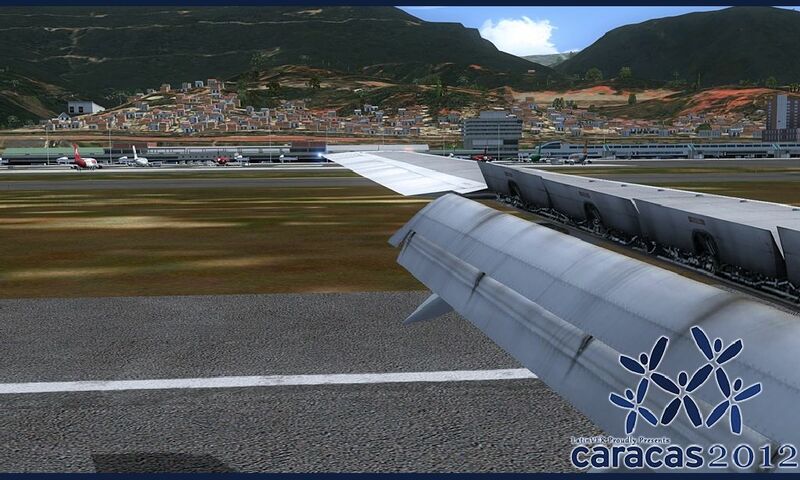 I received some updated textures,that corrected the problems with the airport,the support at Latin VFR was excellant. 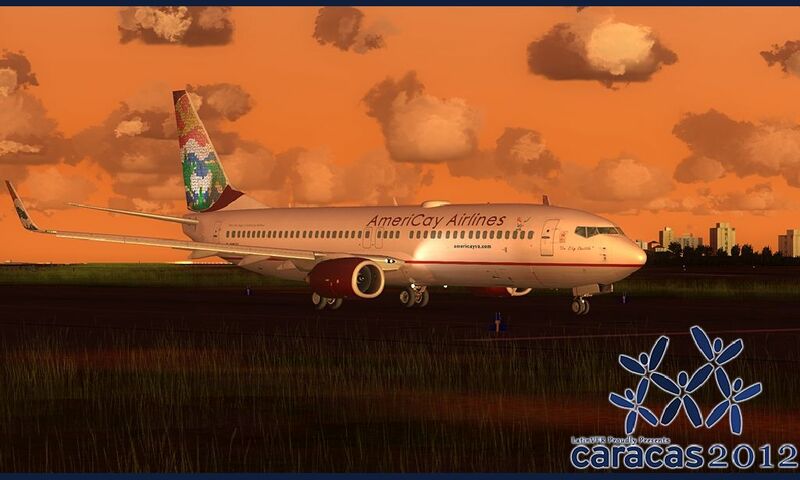 This is a really great scenery - IMHO the best of LatinVFR's so far. 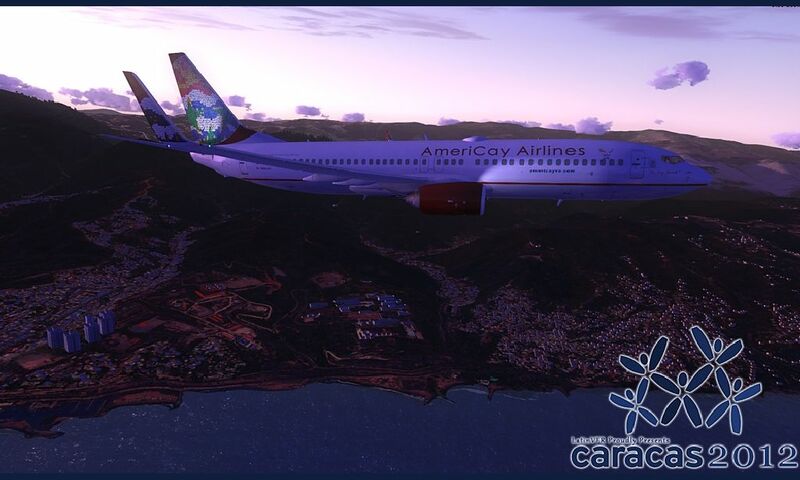 It perfectly immerse you into the Caracas landscape. 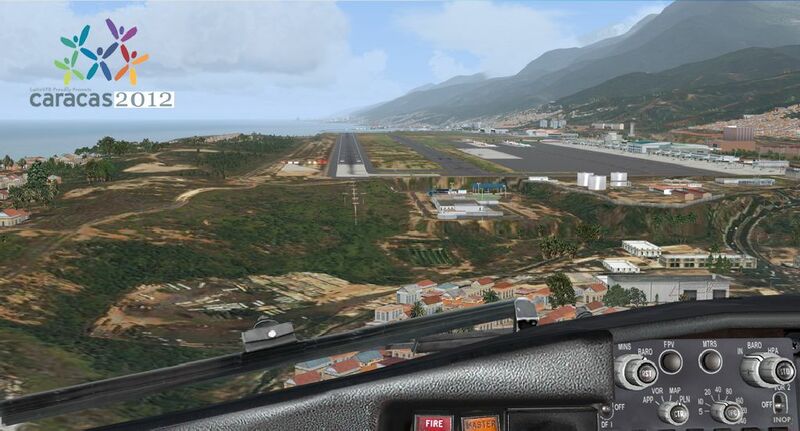 Sloped runway is very realistically designed and gives you some challenging approaches. 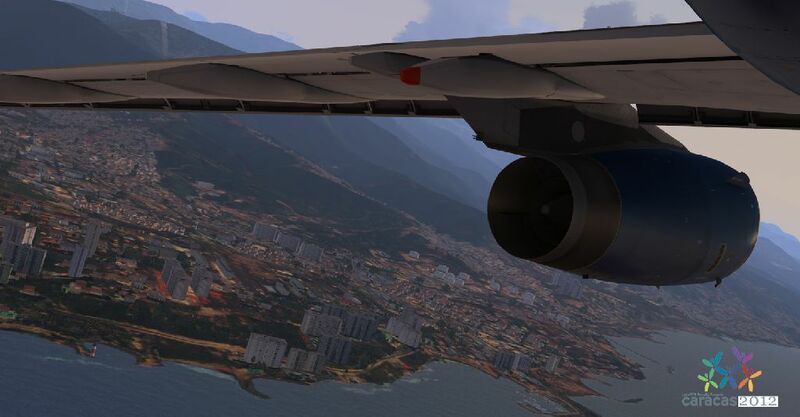 The scenery has a configuration menu so you can choose settings best for your PC. 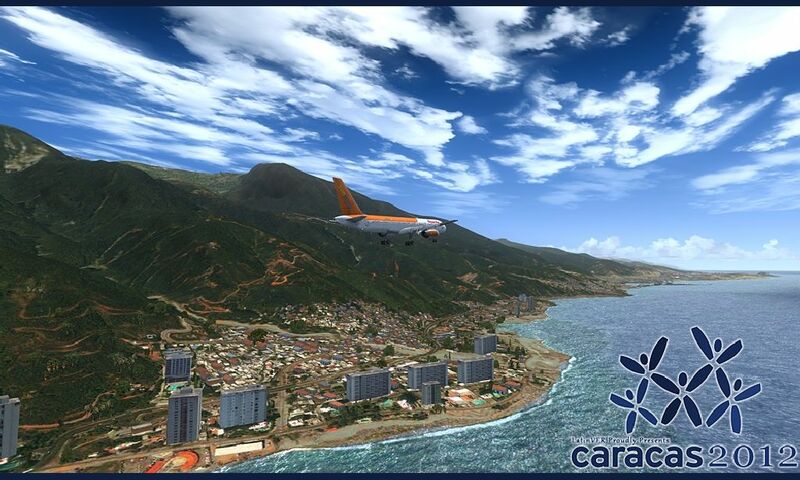 I honestly recommend this scenery - even as a very realistic virtual tour since for some of us Latin America is still an exotic destination. 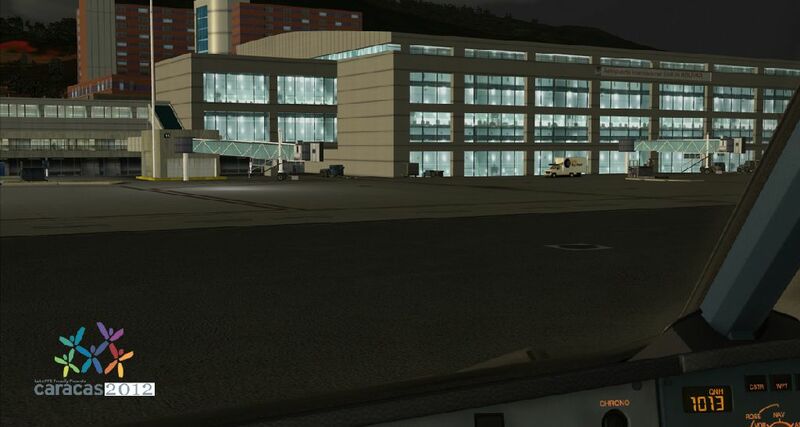 Pretty good scenery,just need to fix the dark shadows on the vehicles at the aiport. Hello from Russia! I think that this is a great product worthy of much attention! it is simply impossible not to fall in love! 1.You get to the ocean koryablyami on the roads and in the distance. Two. 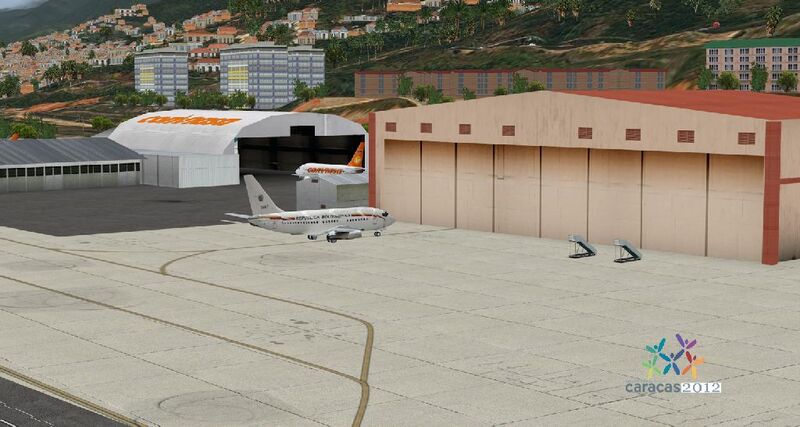 Details brilliantly executed with a lot of airport buildings and hangars. Three. 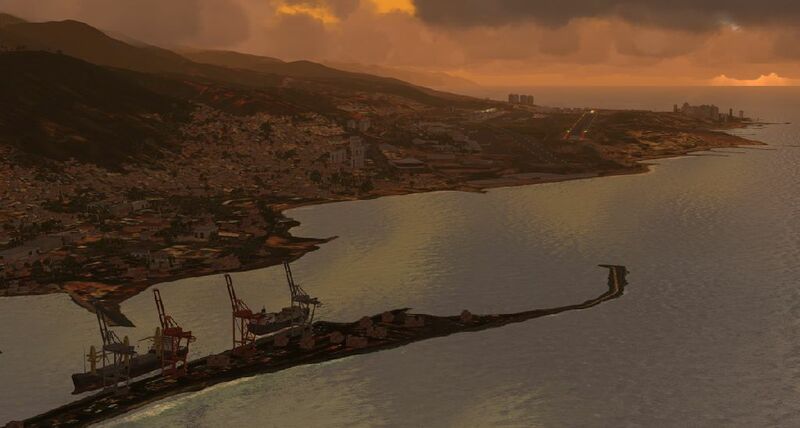 Port with cranes.4. City of detail set by the houses. Five. Beautiful scenery all around. 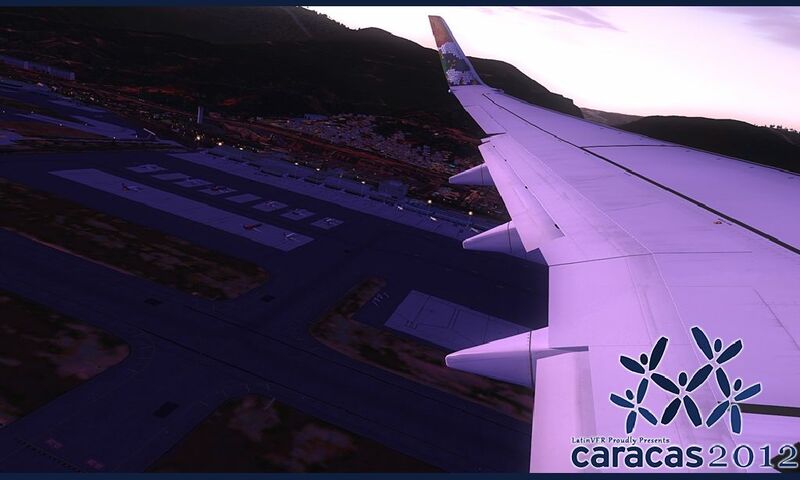 And when you take off this admiration fills you completely.I think it's very little money for such great quality!Fly to Jamaica or princess Julian, Miami and Mexico City! 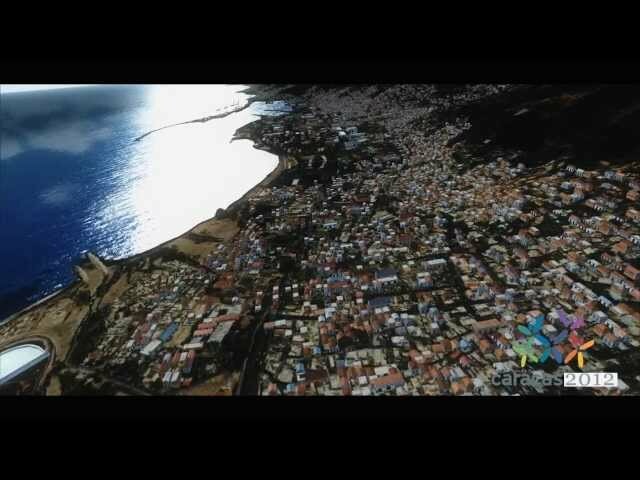 I love Lima, Peru on LATINVFR (SPIM)and other products LATINVFR!You may think!? 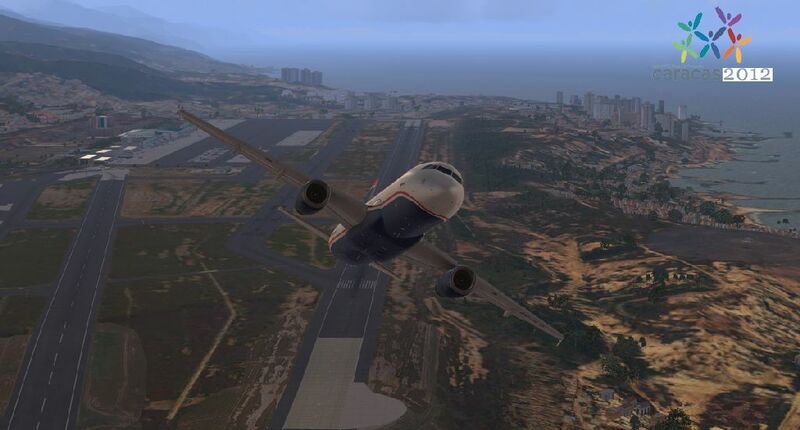 Run pilots to fly ....! What a beautiful scenery from one of the best developers right now. 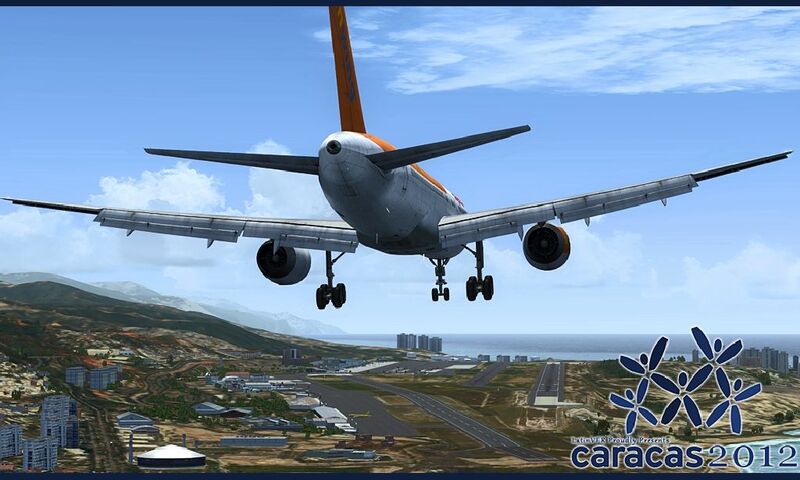 I have been waiting for this latin hub for a long time and I think it is a must for everyone flying in that region. There are many details and FPS are very good. 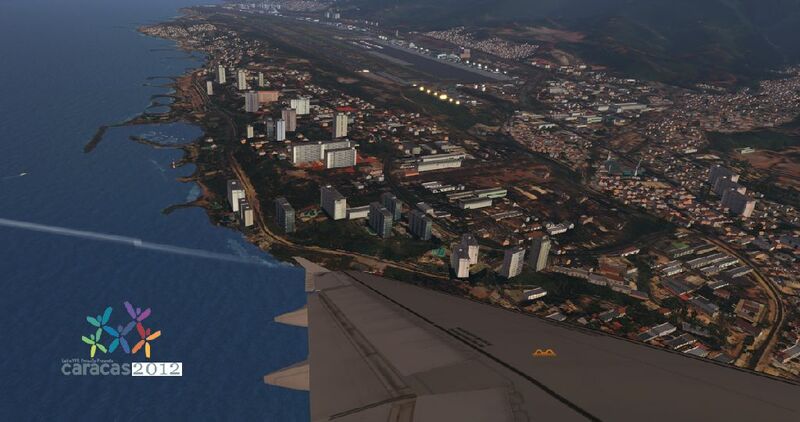 What I really like are the many buildings and details in the surroundings making it a very realistic experience to land and take off. 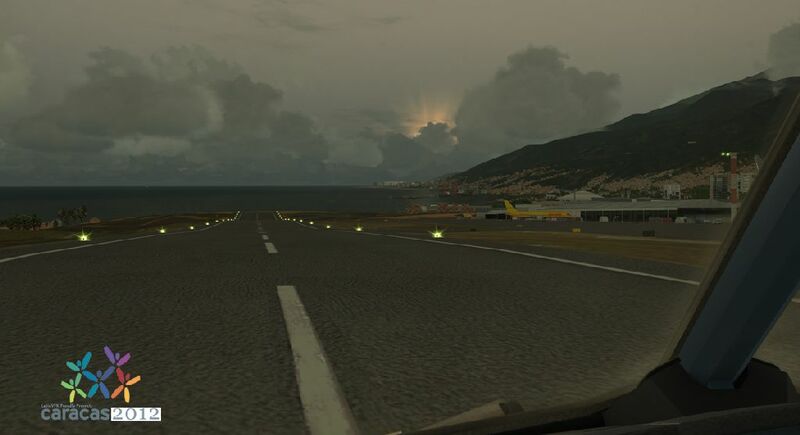 very nice scenery, landed in pmdg md11 and fps were very friendly. 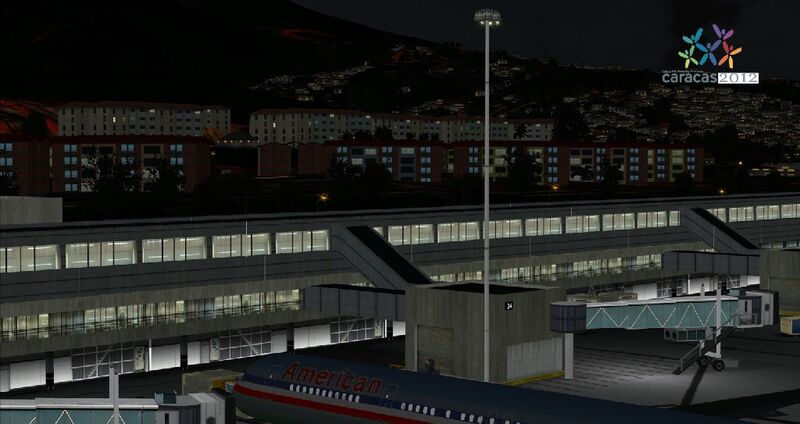 Very detailed airport, less detailed and not so crowded of autogen the surrounding area. 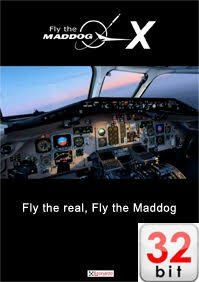 Surely a top notch, but not as nice as the best productor on the market: FlyTampa. 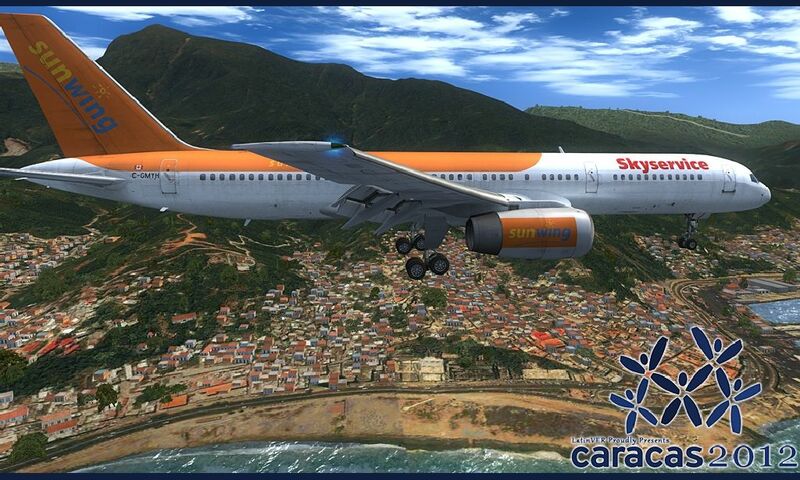 A sure buy as well, i'm happy about Caracas. What a beautiful scenery from one of the best developers right now. 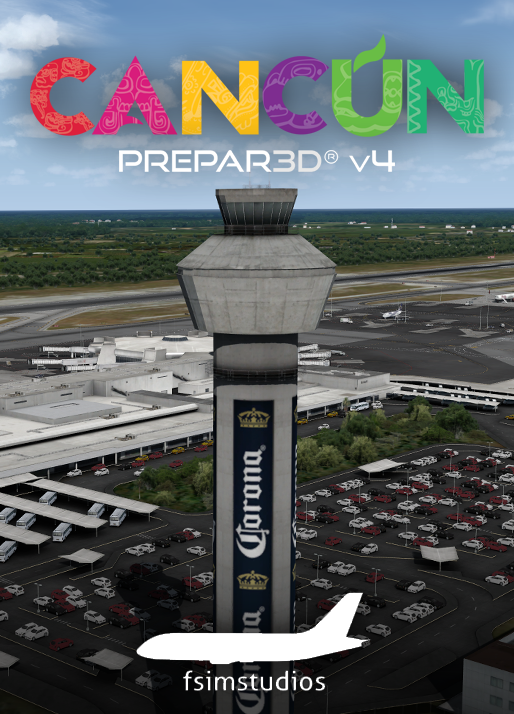 I have been waiting for this latin hub for a long time and I think it is a must for everyone flying in that region. There are many details and FPS are very good. 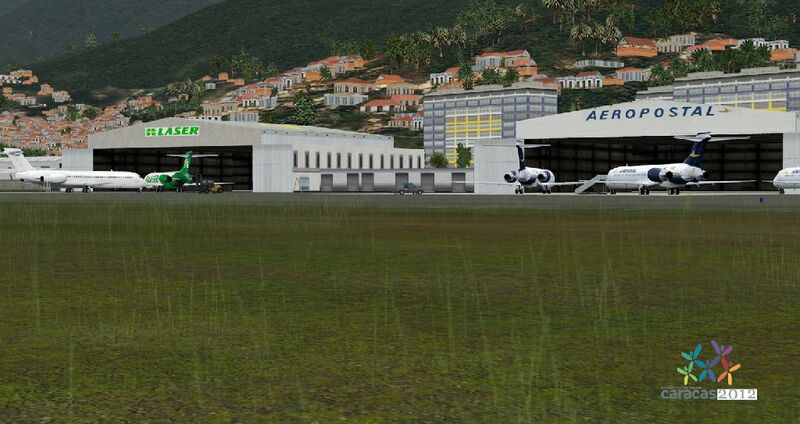 What I really like are the many buildings and details in the surroundings making it a very realistic experience to land and take off.